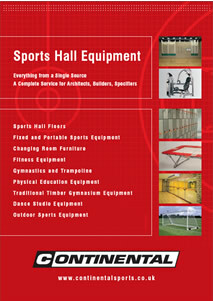 Continental is the UK's leading manufacturer of equipment for gymnastics, trampolining, sports halls, physical education and changing rooms. 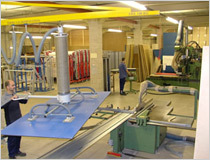 Formed in 1964, we employ some 100 people in the design, manufacture, installation and maintenance of products for gymnastics, trampolining (including trampoline parks), sports halls, physical education, fitness & strength, indoor sports, outdoor sports, and changing rooms.We have successfully designed, manufactured and installed a large number of sports halls and gymnasia in the UK and overseas and have developed a wealth of knowledge and expertise in the subject. If you wish us to help with the design of your sports hall or gymnasium, we are confident that our drawing office technicians can offer the most efficient and cost effective layout. 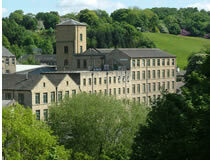 We can also advise on and provide a suitable range of best-value products. In gymnastics, our reputation is second to none - from the start of formal gymnastics in the UK to the present day, we have been at the forefront of gymnastics development in the UK. We are the only British manufacturer to have a complete range of equipment, floors and mats approved by the governing body of gymnastics, the FIG, and have provided equipment for World Championships in gymnastics, trampolining and sports acrobatics plus countless other events including European and National Championships. We have a wealth of knowledge in the design and installation of specialist gymnastic centres having supplied the majority of such centres in the UK, including the National Gymnastic centres at Lilleshall and Inverclyde and the National Gymnastics Performance and Research Centre at Loughborough University. We have leveraged our vast experience of gymnastics, physical education and trampolining to create a trampoline park division. Having installed over 40 trampoline parks in the UK we have recently installed parks in Luxembourg, Spain, France, Saudi Arabia and Pakistan with parks in other countries due to follow. We use our expertise in the manufacture of durable, safe sports and gymnastics equipment to drive our focus on the safe development of trampoline parks, Ninja equipment, adventure parks, parkour and other innovative Sport / Entertainment (“Sportainment”) products. As the country's leading sports hall and gymnasium maintenance provider, Continental has contract with many local authorities, sports and leisure centres, gymnastic clubs and other organisations throughout the UK. Our experienced and certified maintenance and installation technicians provide nationwide service support. 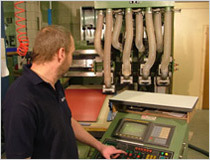 They are backed up by large stocks of spare parts for both our own and other suppliers' products, and the bespoke fabrication capabilities of our UK manufacturing facility. 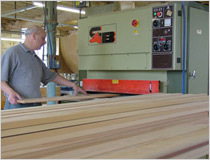 We also offer the same level of support for individual maintenance orders. 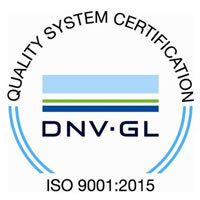 We are an ISO-9001:2015 accredited company and we successfully retain our number one position in the industry by offering benchmark quality products and services at very competitive prices and we are pre-qualified for construction related activities by Constructionline and Constructionline’s Acclaim Health and Safety accreditation. Unlike some of our competitors, we actually manufacture our sports hall equipment, trampoline park equipment, changing room furniture, physical education equipment and gymnastics equipment in our UK factory, rather than simply buying in standard products from third parties. This means we can easily fabricate specials, modify standard products if required and we keep full control of the quality of our products. You will also be dealing with the people who design and manufacture the products that will be installed, so when you require information or assistance you are not just speaking to the middle man so you receive the correct information more promptly than otherwise. 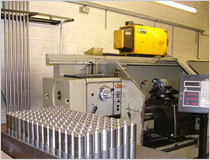 We invest heavily in R&D and in-house engineering development. 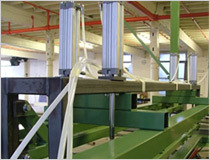 We now have a number of web bed sewing looms which feature video monitoring, compressed air weaving systems and laser guided automatic steering to ensure the run of sewing is perfectly accurate, among many other features which ensure we manufacture the best web trampoline beds available.